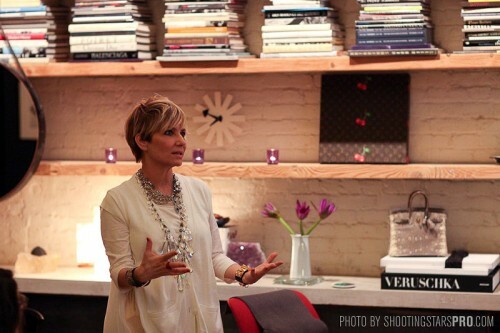 A few months ago, I had the honor and privilege of meeting famed stylist Lori Goldstein. She has styled everyone from Madonna to Rihanna. Through my fairy god mother Kathryn Finney (Creator of The Budget Fashionista) I was able to go to a launch event at Lori’s house for her QVC line Logo by Lori Goldstein. In an older post, I shared with you some of the clothes, but, today, I wanted to put you on to the AMAZING accessories Lori’s line has. 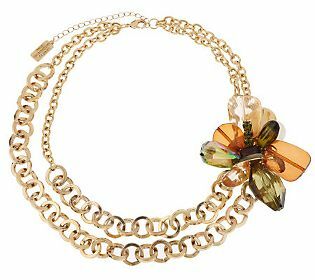 There is a gold flower necklace that I wear all the time with everything. So many people compliment me on this necklace and always ask where I got it from. Well, Logo is where I got it. At the event, Lori had us all bring an item in our closet that we never wear and she would show us how to style it. 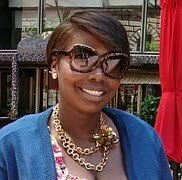 When it was my turn to get styled she pulled out this beautiful gold flower necklace and gave it to me as a gift. I have been stuck to it like flies on poop ever since. This is the necklace below.